H-Factor is home to the Harvesting Happiness production company. 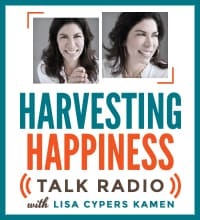 H-Factor is an extension of Lisa Cypers Kamen’s work to bring creative and educational material regarding the power of positive psychology, to the forefront of public audiences through radio, film, TV and guest appearances. 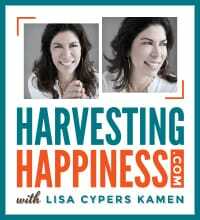 Sculpting personal happiness techniques has been the professional focus of Ms. Kamen’s work in the well-being industry as a guest lecturer, public speaker and documentarian. Ms. Kamen’s passion for multi-media message production was first demonstrated by her original documentary film in 2008, A Passage Through India. . . Diamonds in the Rough (we need to incorporate this on the videos page and make a link to it there, but I have linked this text to the Wn YouTube video for your reference) which was used as an educational fundraiser for the Sulaxmi School for Girls in Lucknow, India, which her family still supports. Ms. Kamen’s production work has consistently drawn the attention of both national and international audiences with her latest comparative documentary work, H-Factor. . .Where Is Your Heart (we need to incorporate this on the videos page and make a link to it there, but I have linked this text to the Lisa’s H-Factor site for your reference). As a testament to Ms. Kamen’s work, her film is being integrated into physchology curriculums throughout various colleges and universities, as a research tool on the origins of happiness. H-Factor…Where is Your Heart garners the interest of industry insiders, media outlets, corporations, and organizations among both private and public audiences, for it’s insightful and thought provoking look at the factors that create personal happiness. In conjunction with producing film projects, H-Factor also produces the What Is Your Happiness weekly radio show and What Is Your Happiness weekly TV show, which feature interviews with acclaimed guests in the field of well being and positive psychology, to discuss unique issues at the heart of overall happiness. H-Factor also acts as the national booking resource for Ms. Kamen, who has been featured by respected media outlets such as; AOL News, Yahoo News, Google News, KABC, HealthyLife.net, Voice America and Los Angeles’ KUSI News among others.